Lovely sunset view home with 2 bedrooms, 2 baths (possible 3rd bedroom), 1680 Sq Ft, located in Canyon View Estates in an upper view lot with no front or back neighbors and awesome curb appeal! The sellers will put in or give a $3500 credit for a 3rd bedroom! Enter into the over sized entry, and step into the formal living room with gorgeous bay windows. The open floor plan is light and bright! Enjoy family dinners in the formal dining and have breakfast at the kitchen bar! The family room has a cozy fireplace! The spacious master bedroom is bright with a slider to the backyard where you will enjoy relaxing in the hot tub and watching the sunset or enjoy the night lights. Cathedral ceilings, neutral carpet and paint throughout. Canyon View Estates is a leased land community with the owner currently paying $1282.00/month. Complex amenities include 24-hour guard gated community, 2 pools, basketball and tennis courts, two children?s playgrounds, rec room with kitchen, maintained greenbelt and hillsides. 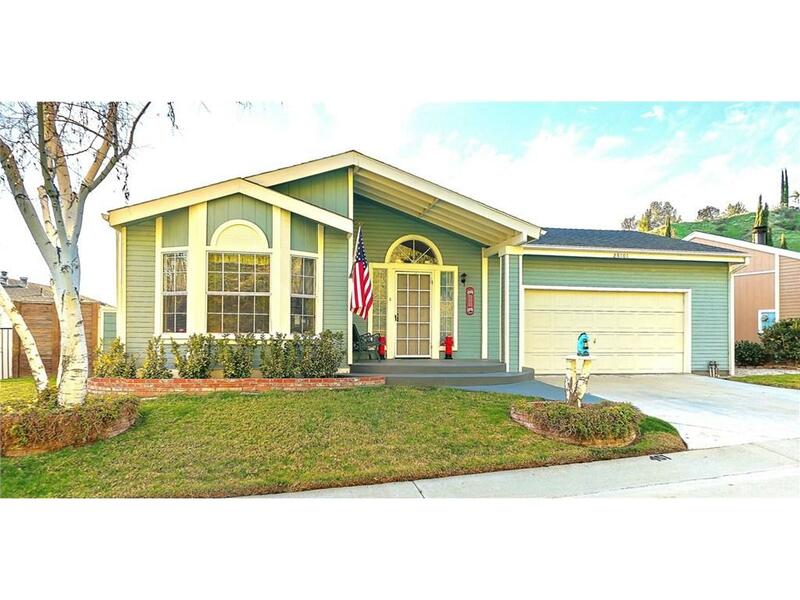 Near Discovery Park with walking and bike trails in the heart of Santa Clarita! No HOA or Mello Roos!